The mega-world city of Buenos Aires in Argentina has always been a favourite destination for visitors, and has long been an important player in the field of medical tourism. The city is known for its advanced system of health care, for its highly skilled Buenos Aires surgeons, and for its well-trained ancillary staff. Combining surgical or medical treatment with a relaxing holiday before and after treatment is easy here, with Argentina's warm weather, European ambiance and reputation as a holiday destination. Many medical tourists arrive from the US and Europe to take advantage of the savings in treatment costs and to holiday in the city at the same time. 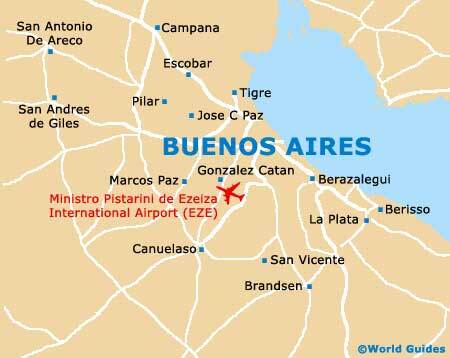 A large number of private Buenos Aires hospitals are well established as suppliers to the medical tourism market. 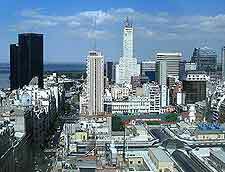 Some are also well known for their training of Buenos Aires doctors and nurses. As an established medical tourism centre, the Argentine capital is one of the best choices for prospective patients worldwide. Although best known for cosmetic surgery and gender reassignment surgery, Buenos Aires hospitals offer a wide range of other options. Being a medical tourism centre, Buenos Aires has a great deal to offer, both in the world-class facilities at its hospitals and in general tourism facilities. Luxurious beachside hotels with excellent in-house restaurants, spas and pools help with unwinding before surgery and recuperating afterwards. Unlike in cheaper South-East Asian medical tourism hubs, all clinics here employ English-speaking staff, as the majority of the clients come from countries where English is either the first or second language. Combining a stay in a Buenos Aires hospital with a sightseeing holiday is easy, and the city has much to offer the tourist in its parks, grand architecture, historic and cultural sites, museums and great dining and shopping. The city's transport system is extensive and ultra-modern, and the expat districts of Palermo and San Telmo are fun to explore. All major and many minor procedures are covered here, with a good choice of established Buenos Aires hospitals with fine reputations in their specialist surgical fields. Equipment is state-of-the-art, with fully trained operatives and qualified, accredited and experienced surgeons, many of whom have trained and worked in the US or the UK. Oncology, cardiovascular and orthopaedic procedures are popular, as is fertility treatment in Buenos Aires. But perhaps the most popular field among medical tourists to the city is cosmetic surgery in Buenos Aires. Buenos Aires hospitals providing medical tourism facilities are known for their high standards of accommodation, as well as their excellent range of treatments. Expect well-designed and comfortable private room with modern facilities, attentive staff and a selection of tasty and healthy meals. Follow-up care is also adequate. The British Hospital (Hospital Britanico) is renowned for its success in cardiac surgery in Buenos Aires, including pacemaker implants and valve replacements. If it is cosmetic procedures that are required, Buenos Aires Aesthetics provides a world-class environment and premium care at moderate cost. Orthodontic procedures, such as implants, are also popular and far cheaper here than in the US, where average costs of procedures are up to ten times more expensive. Apart from its fame as a cosmetic surgery destination, Buenos Aires is not known for any specific surgical speciality, preferring to attract medical tourist patients through the high reputation of its surgeons. Added to its attraction as a holiday destination, it is unsurprising that the city is one of the most popular choices for medical tourists.